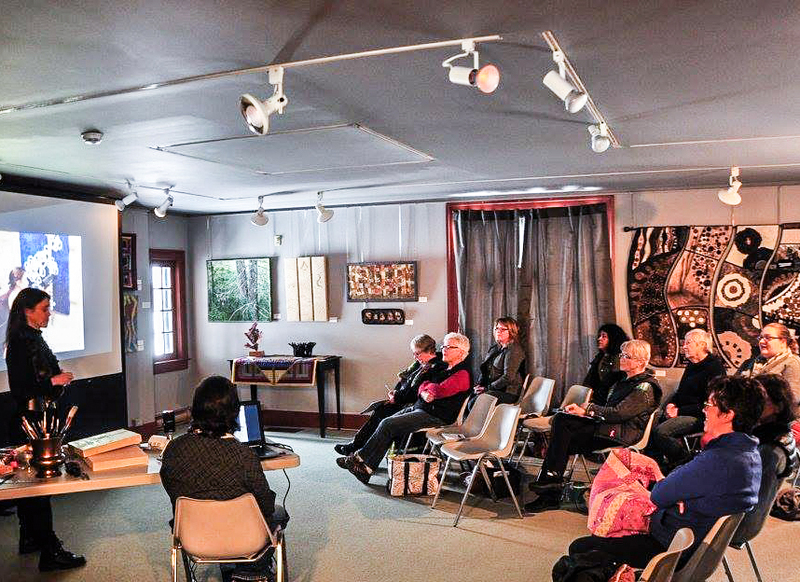 Artist/architect Cesar Forero hosted the workshop demo session in his amazing studio. 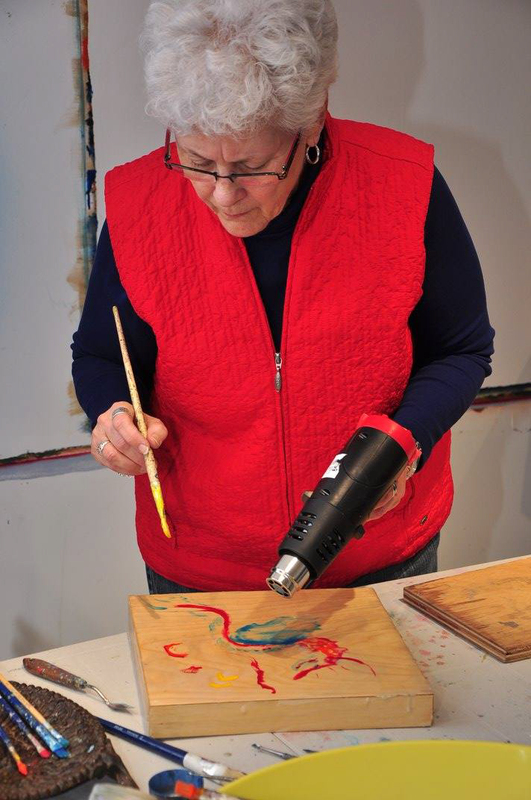 Everyone got a chance to explore painting with encaustic. everyone got into the swing of things, collaborating on a painting. In the background you can see one of Cesar's oil paintings.